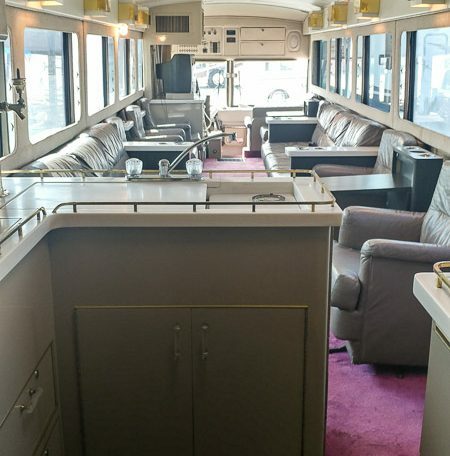 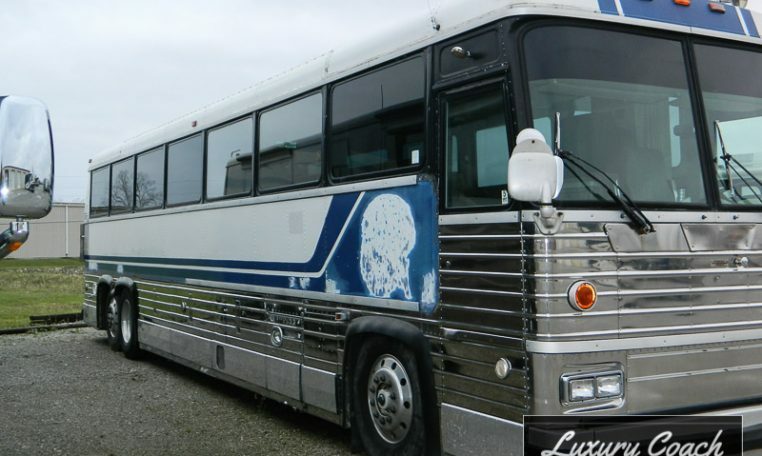 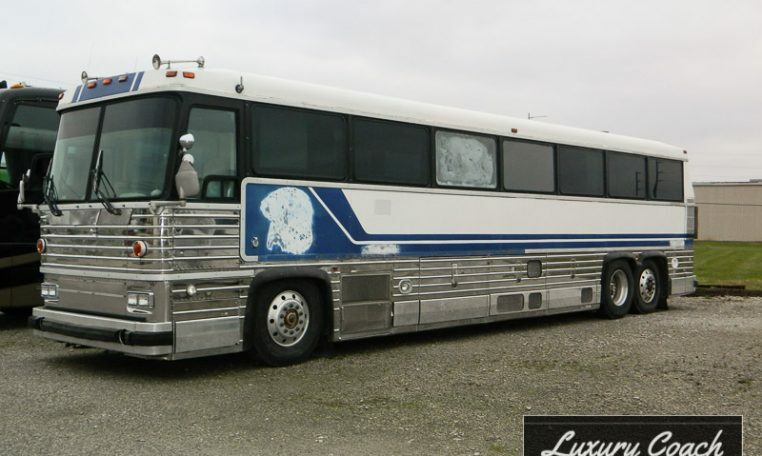 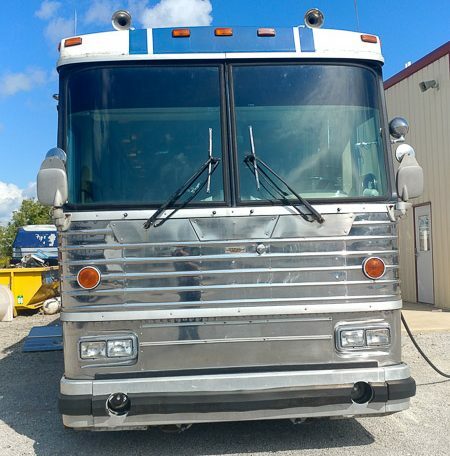 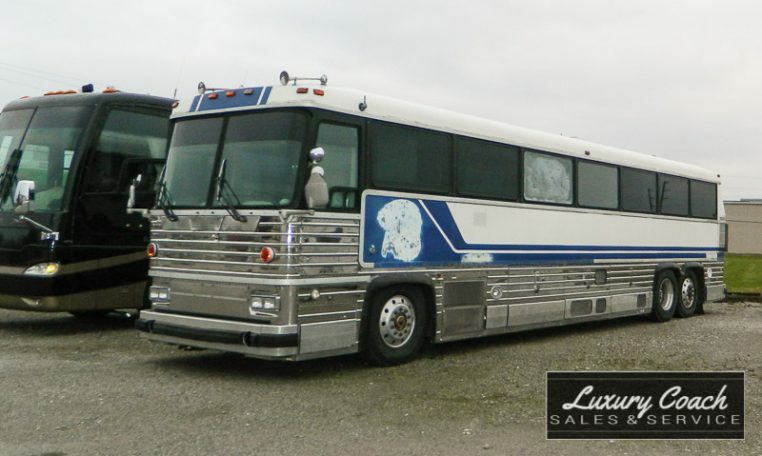 This 1980 MCI MC-9 was originally built for Budweiser company and seats 15-17. 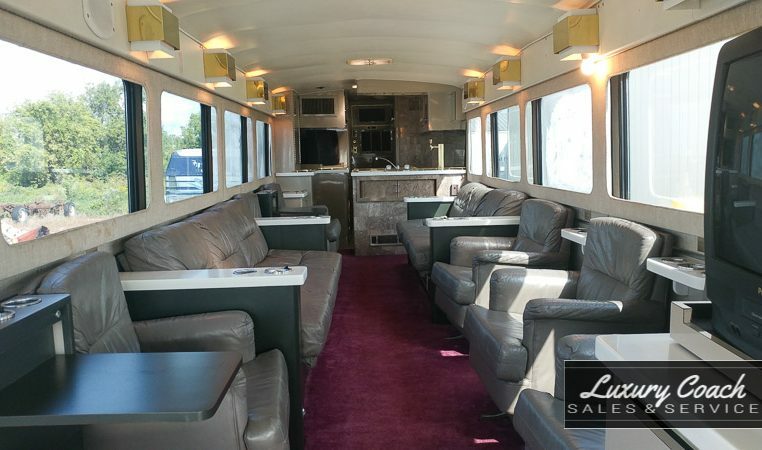 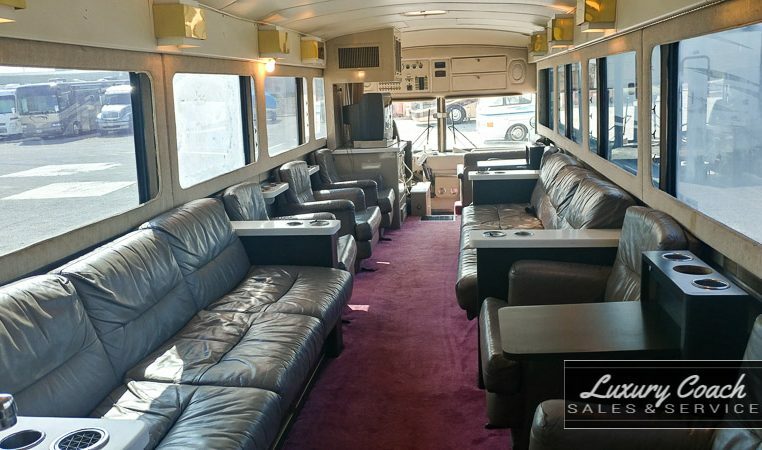 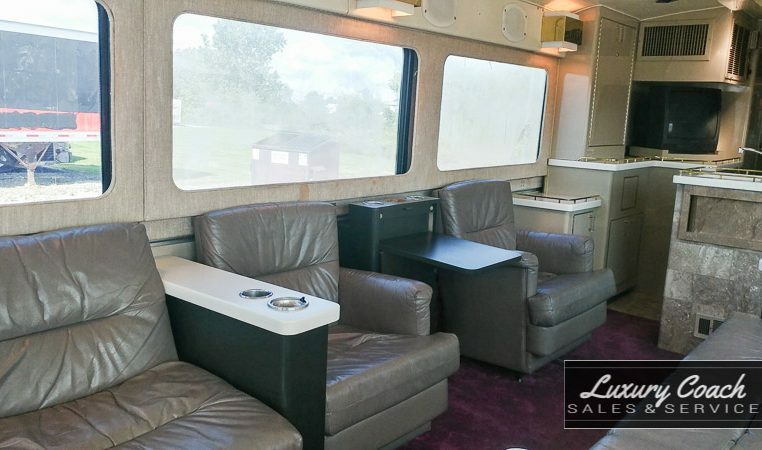 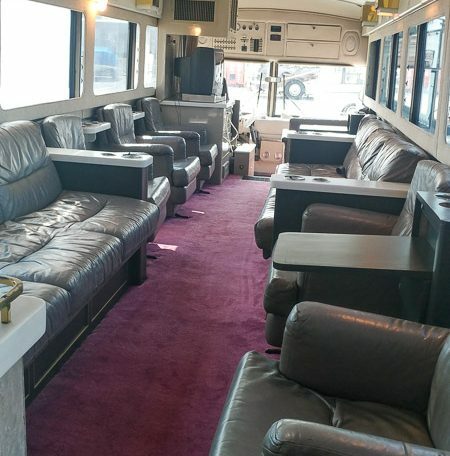 This is a great coach for off-sight entertaining or meetings as it is equipped with plenty of seating (15-17) and 2 beer taps along with 2 TVs with one behind driver/passenger seating and one next to the galley. 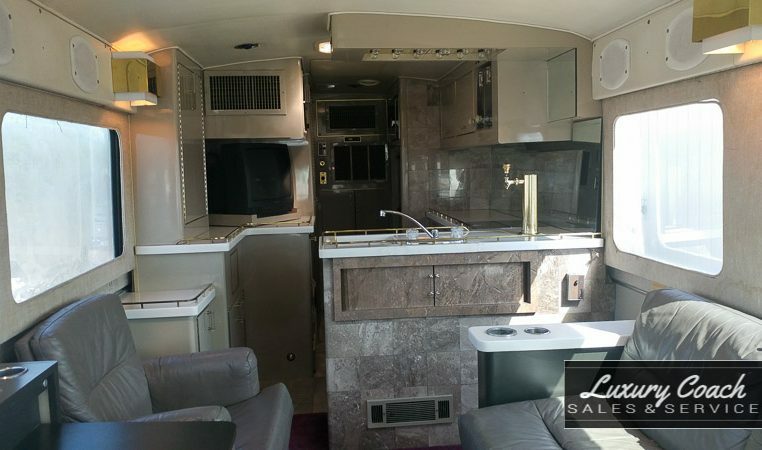 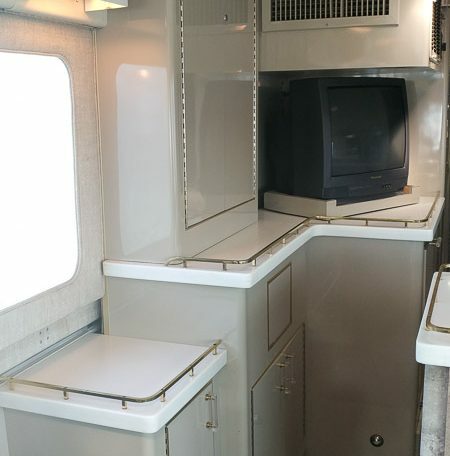 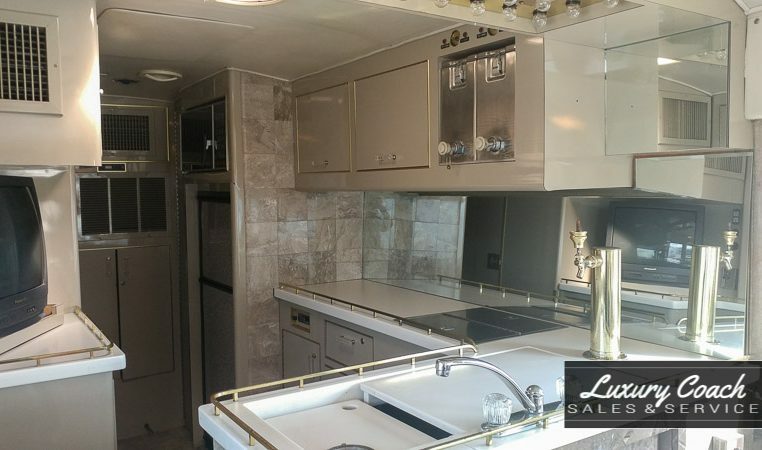 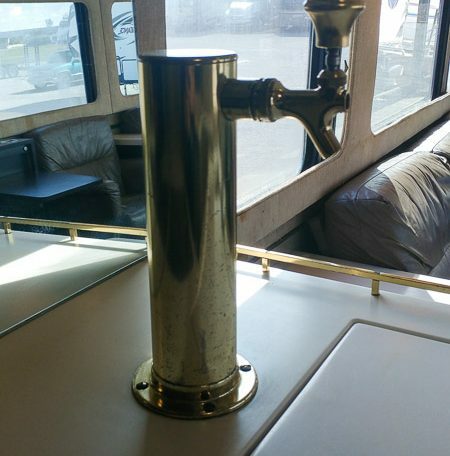 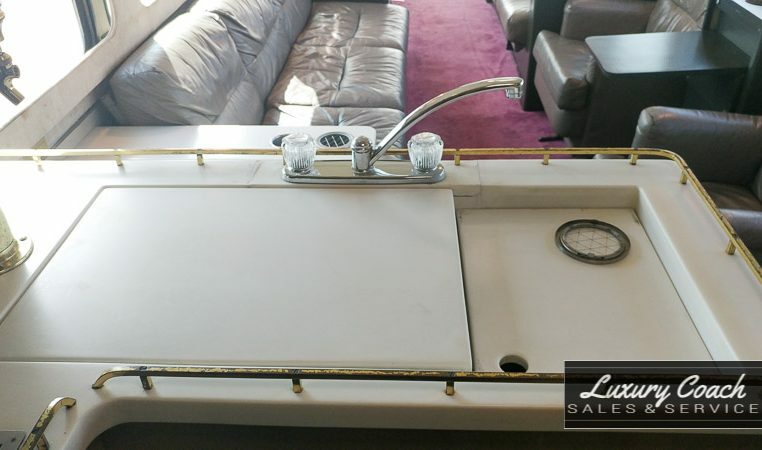 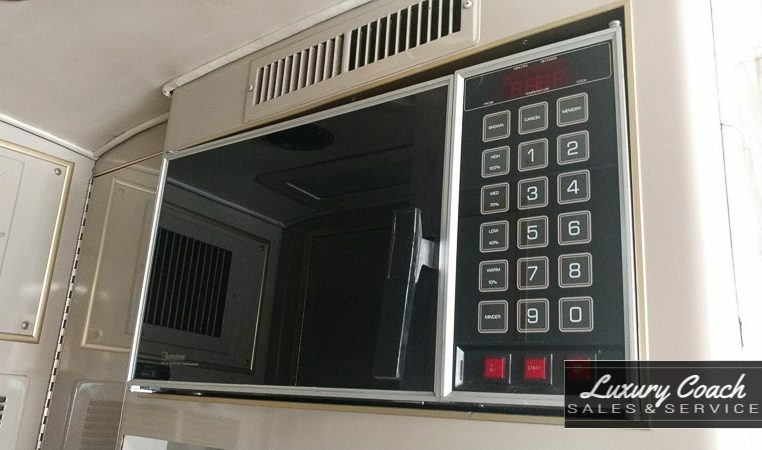 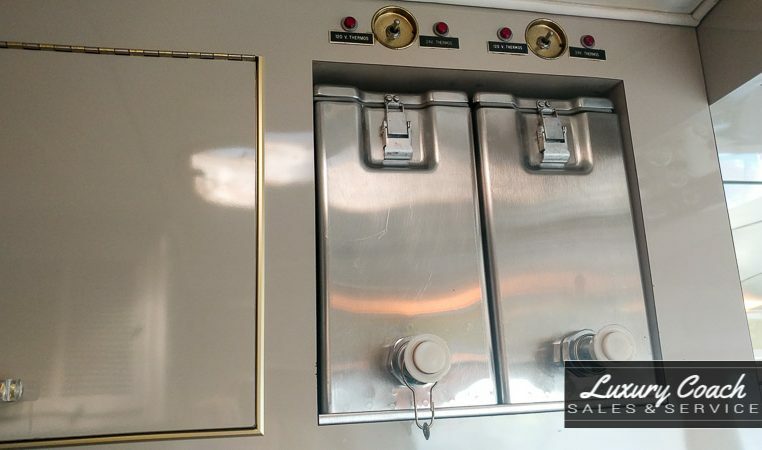 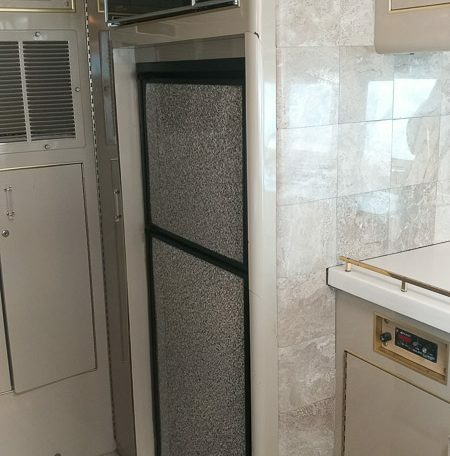 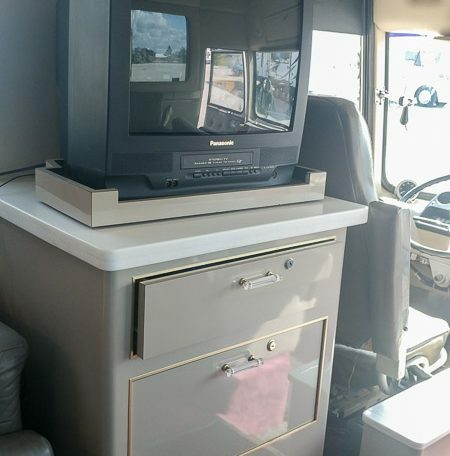 The galley of this coach features a 3-bowl sink with faucet, tile on floors and wall, side rails on all countertop services, mirror backsplash for easy cleanup, refrigerator, microwave, two ice chests, and a TV. 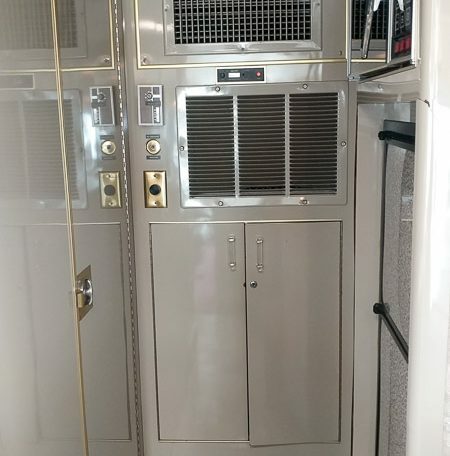 There is plenty of under and overhead storage. 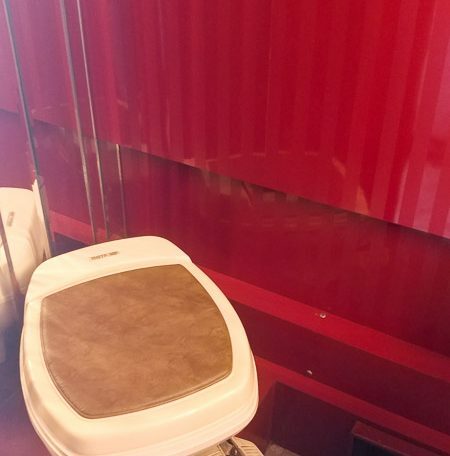 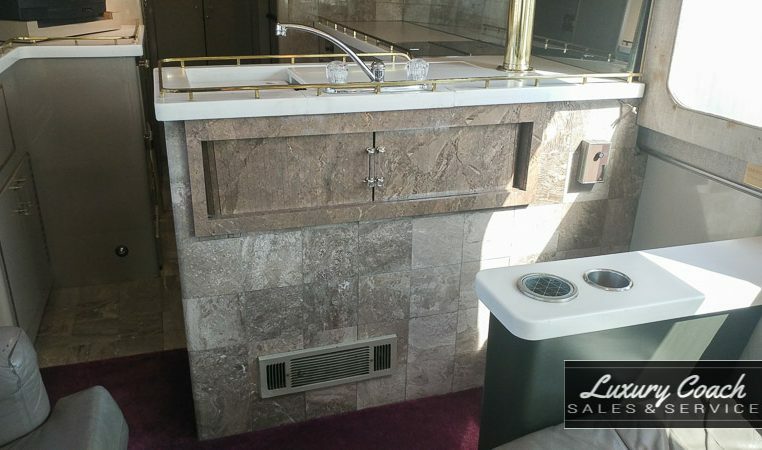 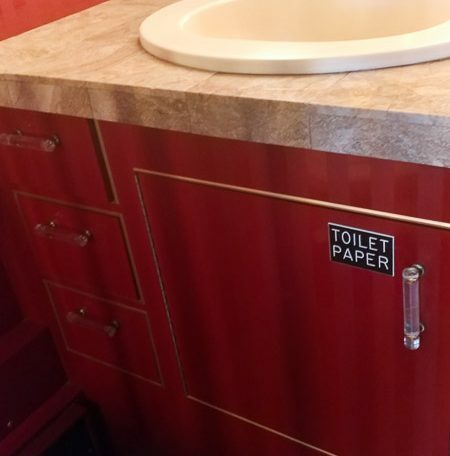 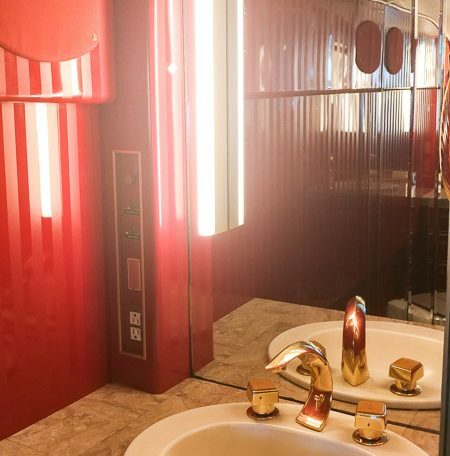 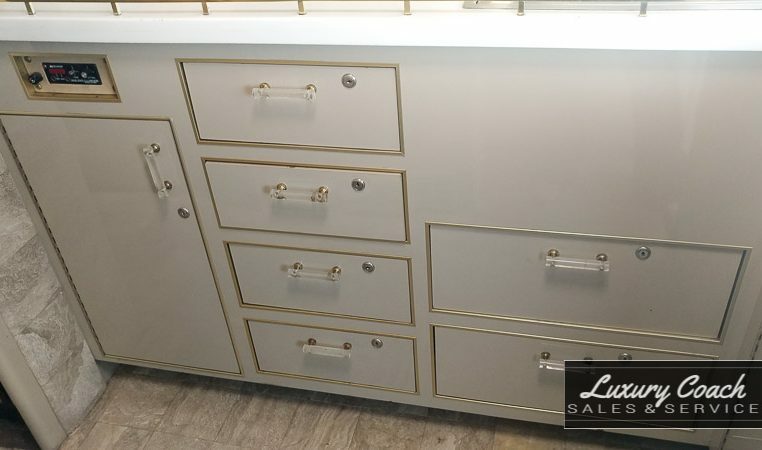 Features in the bathroom include a solid surface countertop, round basic with gold-colored faucet, oversized mirror with side lighting, wall-mounted outlets, plenty of storage and raised corner toilet. 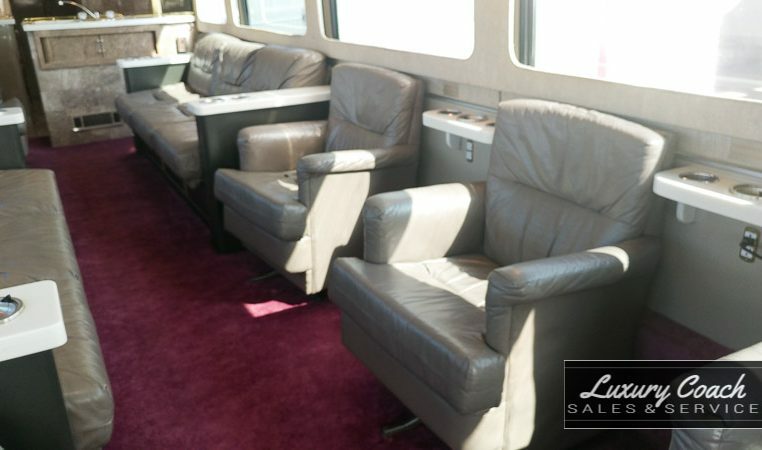 With multiple grey leather couches and recliners seating 15-17 comfortably, there’s plenty of room to relax and unwind. 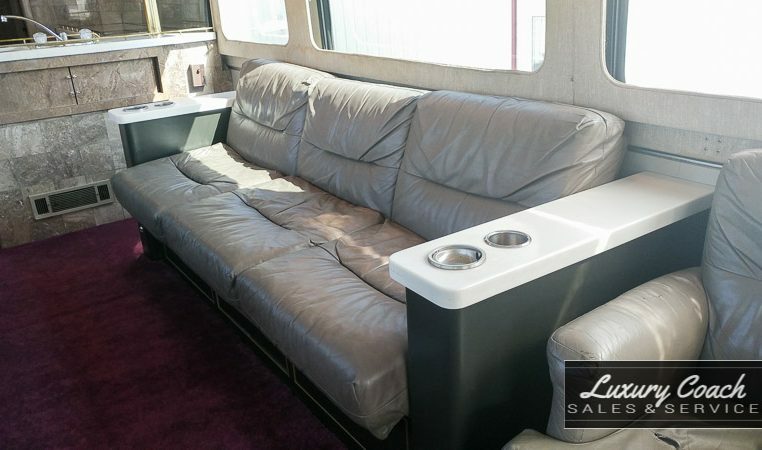 For overnight guests the couches are jack knife for your convenience. 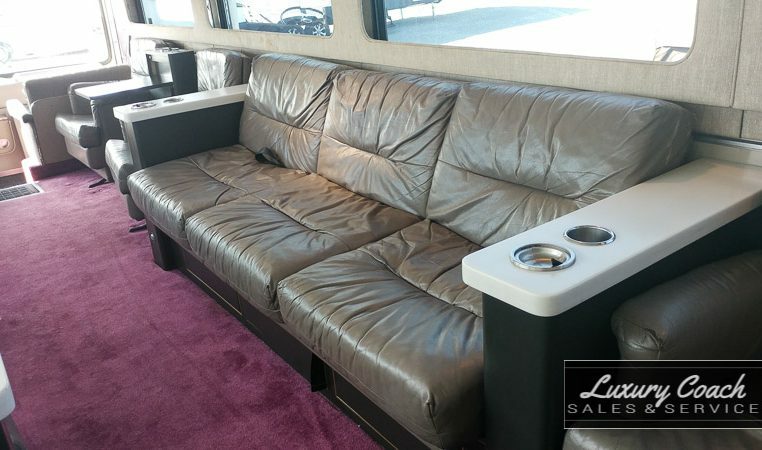 Each sofa/recliner has a hard surface end table with built-in cup holders and plenty of overhead lighting as well. 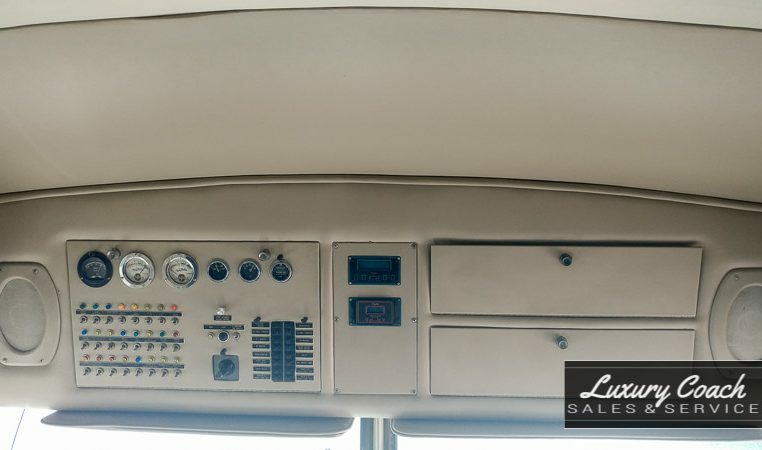 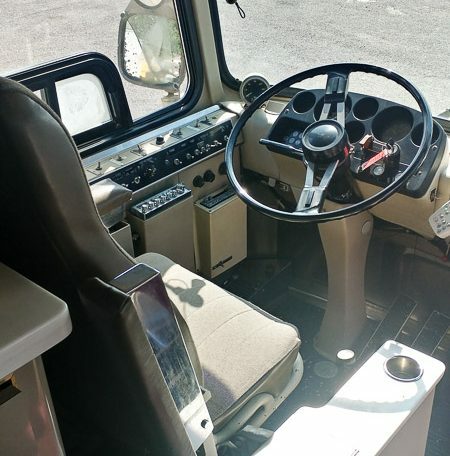 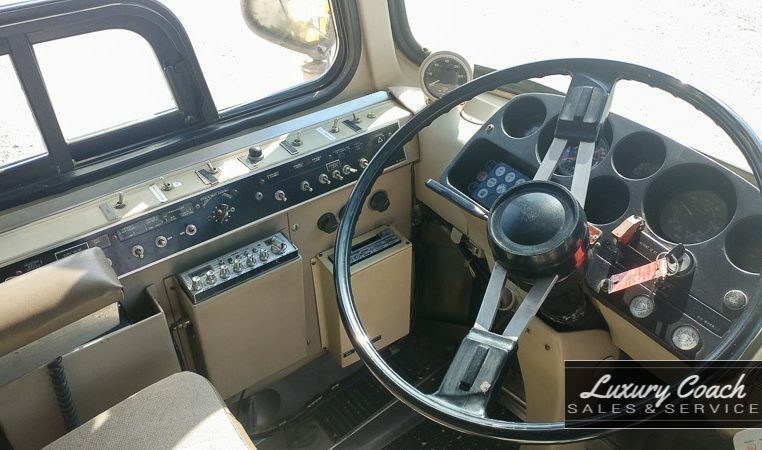 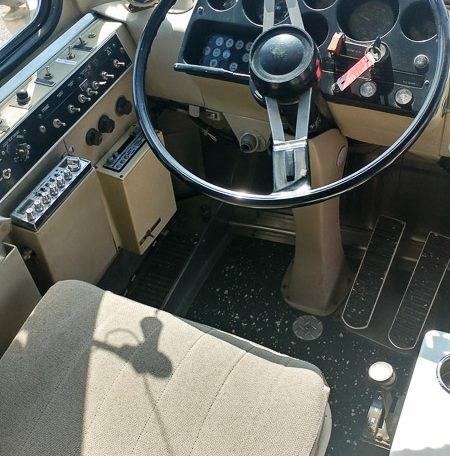 Under the hood of this 1980 MCI MC-9 is an 8v71 engine, and a 5-speed automatic Allison transmission. 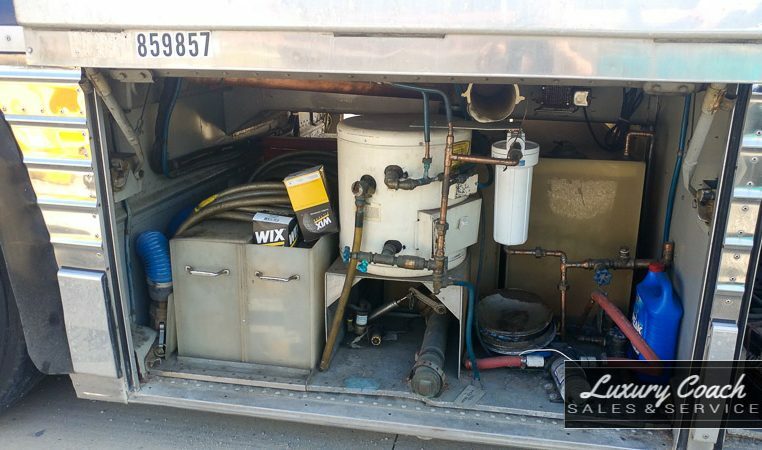 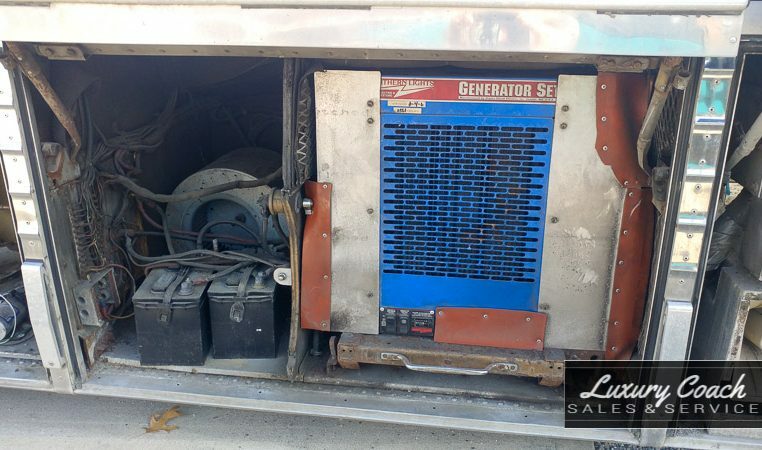 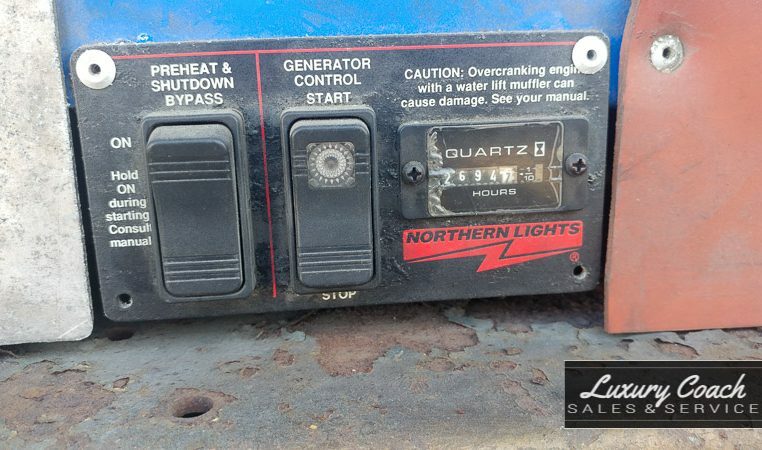 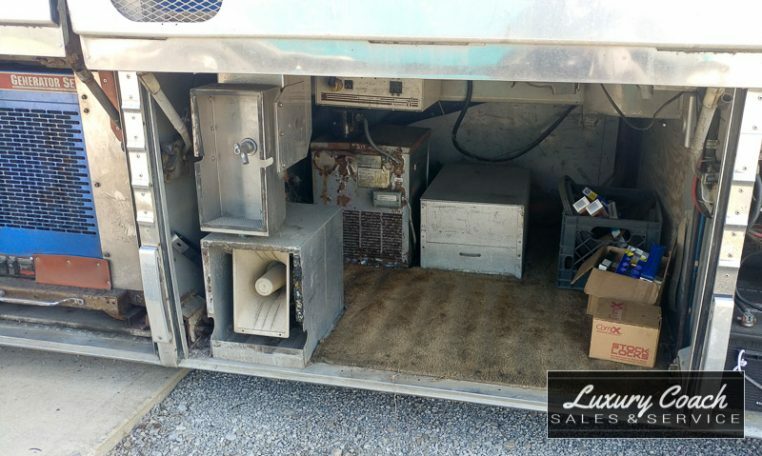 Also included is a diesel generator, 3 central A/Cs, 4 electric heaters, 12V battery charger, 24V battery charger, electric hot water heater, and a fresh water pump. 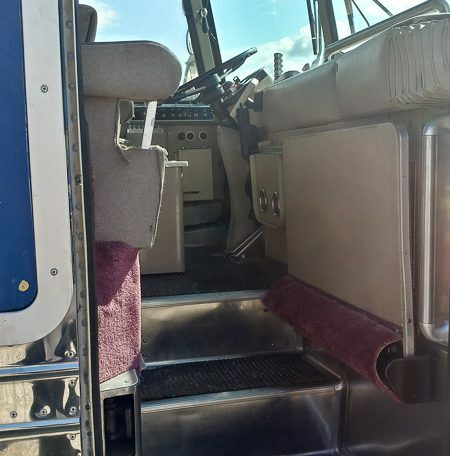 We do have the exterior trim that is not on the coach currently.